Rumble59 Ladies - Sailor Swing Dress - All hands on deck! 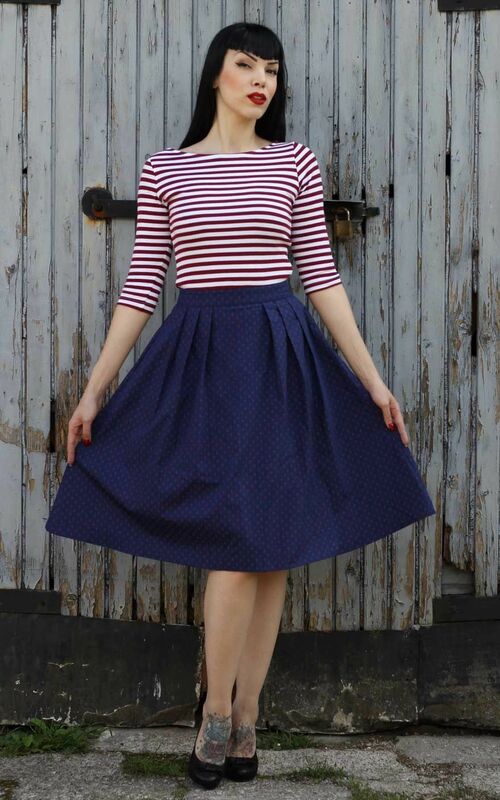 The perfect catch: sweet sailor swing dress with stripes and anchors! 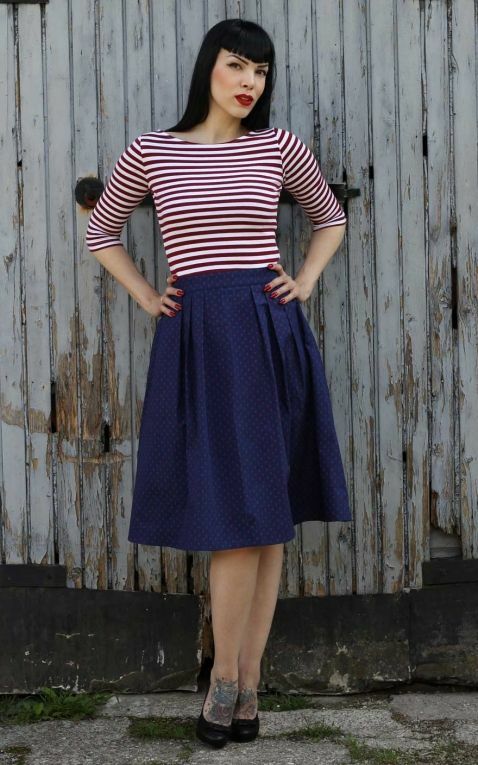 This maritime 1950s dress boasts an enchanting combo of stripes and anchors. 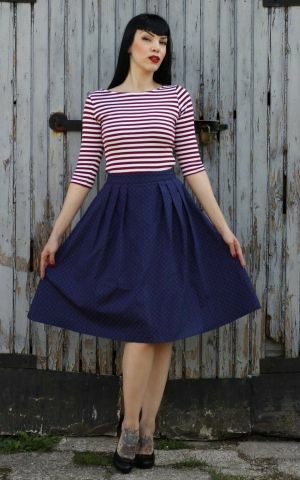 The swinging circle skirt merges into a figure-flattering jersey top with even, two-tone red/white stripes and classic boatneck fit, paired with 3/4-sleeves. 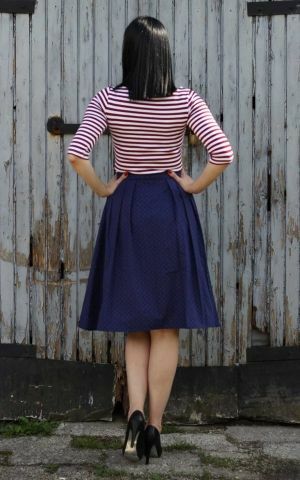 The contrasting ocean-blue skirt is covered in a subtle allover-print studded with cute red anchors. To ensure a free-flowing, swinging hemline, the skirt is gathered in generous folds right below the tight waist. 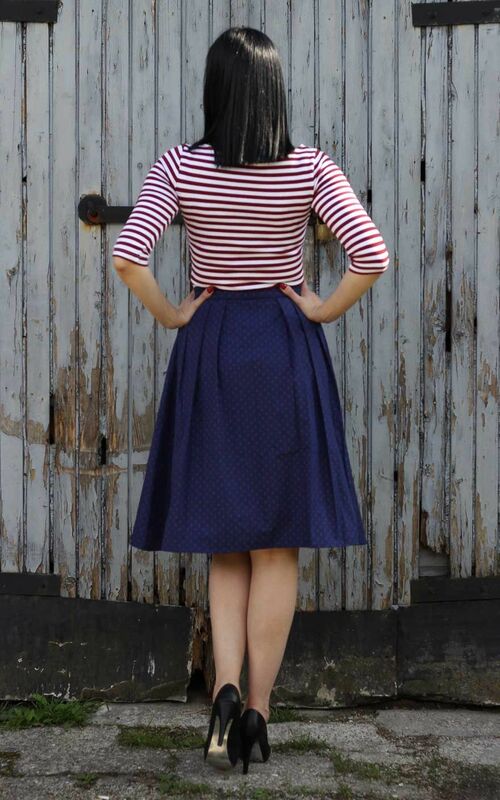 The right seam also conceals a handy pocket for all the little things you wouldn't see a pin-up without. Feel free to wear this dress with or without a petticoat - the fab cut and pleasant material guarantee excellent wearability wherever you go. Be honest, sailorette: Can you resist this stunner? Our beautiful model Tamara Kamikaze wears this dress in size S.
Rumble59 has a large selection of vintage pin-up styles! Try this delightful dress for a first mate approved first-rate sailor style. Wundervoll!!! Der Mix aus Jersey und Baumwolle ist wirklich gelungen. Sehr gute Qualität. Passt perfekt und macht beim tanzen alles mit! 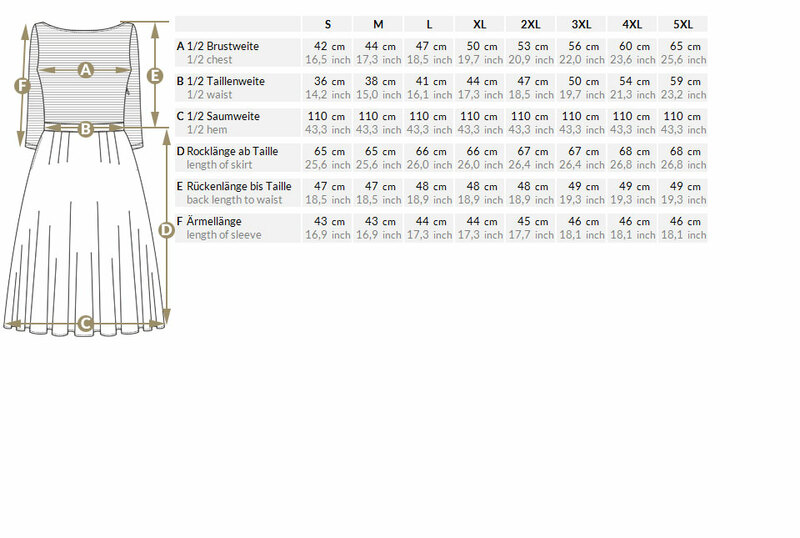 Das Kleid ist echt ein Traum, wie in der Produktbeschreibung erwähnt. Passt perfekt, dank der Größentabelle.